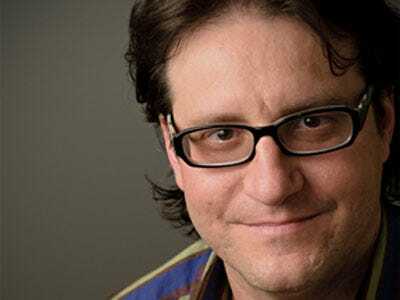 Brad Feld has been an early stage investor and entrepreneur for over 20 years and is the co-founder of Foundry Group. This post originally appeared on his blog, and it is republished here with permission. My first company, Feld Technologies, didn’t have contracts. Instead, we had a one page PSA (professional services agreement) that spelled out in English that we charged $X per hour, would do our best, and our invoices were due upon receipt. We never had a single legal issue with a client, although we had a number of tense moments which we almost always solved successful by “doing our best.” There were a few cases where this wasn’t enough and our clients effectively fired us, but we always made it easy for them to walk away if they weren’t happy. Since I started investing in 1994, I’ve been on the giving and receiving end of an endless number of contracts which often include SLA’s. I’ve seen every type of agreement you could imagine and at this point have become completely numb to the dance of a buyer and a seller of any type of product or service trying to get to a legal contract. As I’m sure many of you have experienced, the business terms are simple to work out, especially between rational people that want to work together. But once things get into “legal” or “procurement”, it’s a whole different issue. We can’t control data publishers’ availability, but if they’re up, we’ll get the data. Machines and clouds fail, even on EC2. If Amazon is up, we’ll get the data. The best way to guard against machine failure is duplicate hardware. We offer highly discounted backup boxes. You’ll always have my cell phone number — if our software breaks, you can call me 24/7 and I’ll get my team on it. If we aren’t living up to our end of the relationship, you can cancel the contract with no penalty. Now, Gnip is young so Eric is in a position where he can still talk to any customer that wants to talk directly to him. However, as they grow, I expect this tone will exist throughout the business since it’s Eric’s style. Basically, keep it simple, be clear about what you will do, be available, and take responsibility for your service. I’m sure more formal contracts will find their way into the business but wouldn’t the world be a better place if more business was conducted this way? Are Apple’s Competitors Stealing Its Patented Inventions?